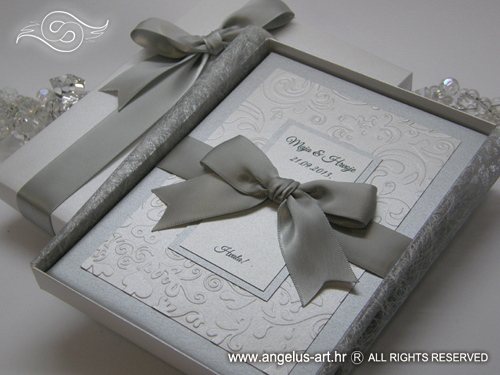 Show appreciation of your wedding guest with this exclusive handmade album. 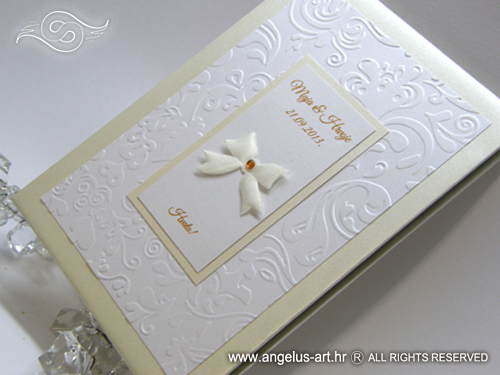 This book has harcovers measuring 12x12 cm (Exclusive White Book). 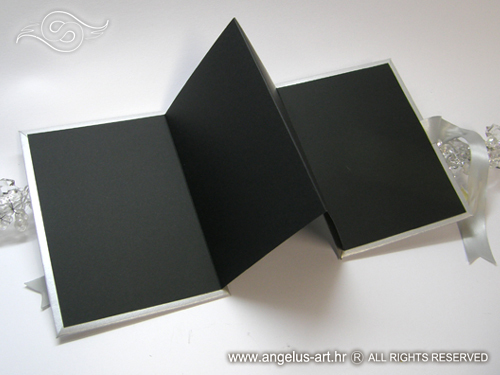 The interior is made of black card stock that folds like an accordion, it has included space for 4 photographs in size 10x10 cm, or a pesonalizet text on the left and 3 photos. 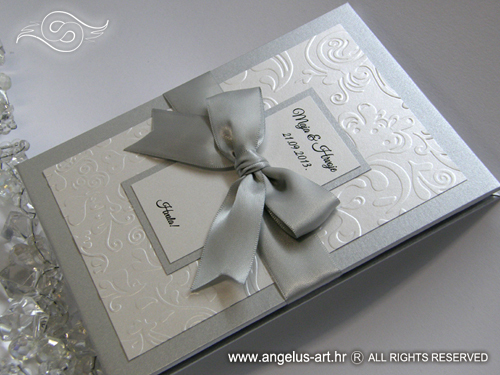 The book can be decorated with satin ribbon or some other detail of your choosing. 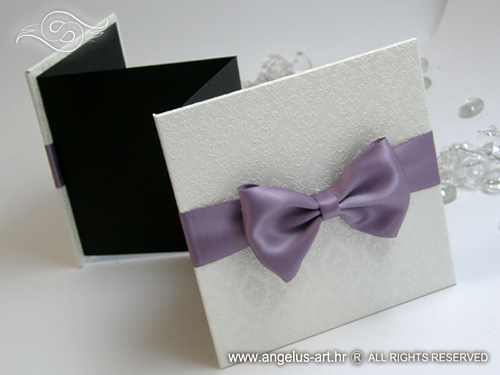 Also, we have similar exclusive Thank you books in larger format for photos in size 10 x15cm. 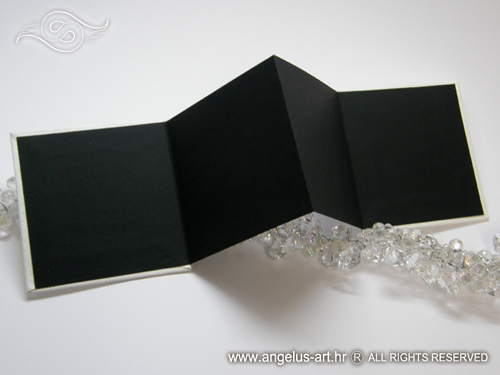 This book can be packaged in white box measuring 13x18cm.